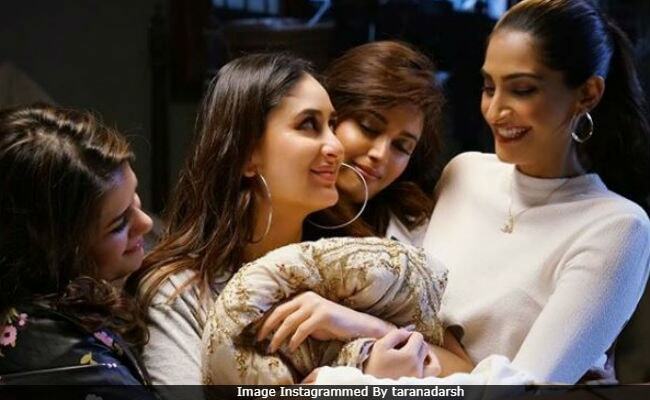 Kareena Kapoor and Sonam Kapoor's highly-anticipated film Veere Di Wedding, also starring Swara Bhasker and Shikha Talsania, has earned Rs 36.52 crore at the box office, trade analyst Taran Adarsh reports. In the list of top five opening weekend films of 2018, Veere Di Wedding ranks #5. Mr Adarsh describes the film's box office performance as a 'big surprise' and wrote that in the Northern region, Veere Di Wedding's numbers were 'rocking.' In the opening day, the film had earned 10.70 crore and over the weekend, it made over 26 crore. "Veere Di Wedding pulls a big surprise, packs a fantastic total in its opening weekend... North circuits in particular are rocking. Storms into top 5 opening weekends of 2018... Friday 10.70 crore, Saturday 12.25 crore, Sunday 13.57 crore. 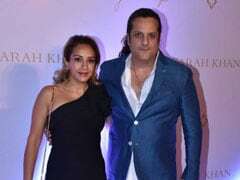 Total: Rs 36.52 crore," Taran Adarsh wrote. #VeereDiWedding pulls a BIG SURPRISE... Packs a FANTASTIC TOTAL in its opening weekend... North circuits in particular are ROCKING... Storms into Top 5 opening weekends of 2018... Fri 10.70 cr, Sat 12.25 cr, Sun 13.57 cr. Total: 36.52 cr. India biz. In his review for NDTV, film critic Raja Sen gave Veere Di Wedding 3.5 stars out of 5. "Friends are the new family. Weddings are now as much about parents giving away the bride as they are about friends entrusting her to a man they approve of. Veere Di Wedding gets this fantastic bond right, and gives us four dramatically different kinds of women with agency and spirit. Nobody stands in the way of their decisions," he wrote. As mentioned above, Veere Di Wedding is a film on four friends, who swear by each other in every circumstance despite go through a lot of problems in their personal lives. Veere Di Wedding opened along with Harshvardhan Kapoor's Bhavesh Joshi Superhero. Yes, it was Kapoor vs Kapoor at the box office. Veere Di Wedding is co-produced by Sonam and Harshvardhan's sister Rhea.